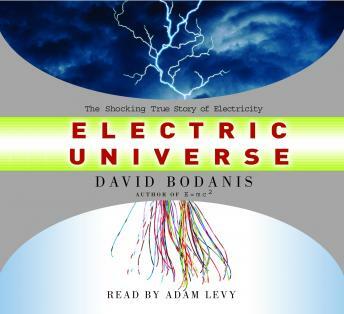 David Bodanis, bestselling author of E=mc2, weaves tales of romance, divine inspiration, and fraud through an account of the invisible force that permeates our universe—electricity—and introduces us to the virtuoso scientists who plumbed its secrets. For centuries, electricity was seen as little more than a curious property of certain substances that sparked when rubbed. Then, in the 1790s, Alessandro Volta began the scientific investigation that ignited an explosion of knowledge and invention. The force that once seemed inconsequential was revealed to be responsible for everything from the structure of the atom to the functioning of our brains. In harnessing its power, we have created a world of wonders—complete with roller coasters and radar, computer networks and psychopharmaceuticals. In Electric Universe, the great discoverers come to life in all their brilliance and idiosyncrasy, including the visionary Michael Faraday, who struggled against the prejudices of the British class system, and Samuel Morse, a painter who, before inventing the telegraph, ran for mayor of New York City on a platform of persecuting Catholics. Here too is Alan Turing, whose dream of a marvelous thinking machine—what we know as the computer—was met with indifference, and who ended his life in despair after British authorities forced him to undergo experimental treatments to “cure” his homosexuality. From the frigid waters of the Atlantic to the streets of Hamburg during a World War II firestorm to the interior of the human body, Electric Universe is a mesmerizing journey of discovery.